From sheer innovation to becoming an essential part of the mobile platform, applications have transformed the technology world in recent years. Millions of apps are now increasingly becoming available and with more being rolled out every day with added functionality and robustness. According to a study from Gartner, the demand for enterprise mobile apps will outstrip available development capacity five to one in other words, IT will be overwhelmed in app development. “In the future, we see an enterprise wave of apps going mobile.The complexity and volumes this trend will create for operations in app management wouldn’t be an easy task,” begins Raju Kalidindi, Vice-President at WITS Solutions. Additionally, the increasing number of enterprise projects is transforming business processes to deliver timely results, within the budget and allocated resources. The road to successful application management is plagued by projects with persistent delays and cost overruns that often fail to meet user expectations. WITS, based in Washington, D.C., takes a holistic approach to IT operations by offering the best practices for app management solutions that correlate with key data points in the application environment. With their delivery focused on IT Service Management (ITSM), app management and performance, as well as cloud adoption, the company is endowing their solution architects and technologists to begin “thinking” about the exponential growth of mobile apps deployment and management. Being ever aware, the company is bringing a holistic approach to app management, whether cloud or mobile, to help their customers meet these impediments. “Our methodology considers the app as the lowest common dominator in the operations environment. Therefore, optimal performance can only be achieved by being aware of, and managing the supporting app infrastructure which are the server, network, services, administration, and security,” adds Charles Blackmore, Principal, at WITS Solutions. Overseeing the transitional stage of deployment of applications to mobile devices, WITS is preparing a strategic plan to deal with application management. 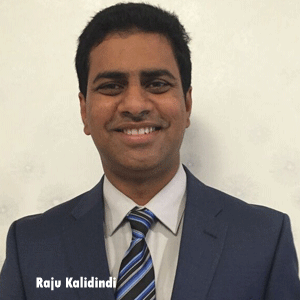 “During this transition, new IT tools, monitors, and reporting mechanisms will be added; management metrics will grow geometrically and add to an already complex environment,” explains Kalidindi. The company, equipping themselves to serve their customers and IT departments, is in the process of exploring the adoption of processes and software that will employ automated monitoring, collection, correlation of data, and metric measurement. These processes, when employed, will provide near real time analysis, alerting, and visibility to key stakeholders to assist in managing the shear volumes and complexities that are involved in achieving optimal application performance.“Our targeted release of this comprehensive app management platform date is Q2 2016,” states Blackmore. The company with its deep acumen and extensive experience has etched itself in a distinct nature among their competitors. To highlight, the company’s middleware and cloud expertise also facilitates ERP interface, enabling companies to take advantage of leading edge technologies without massive retooling. Monitoring emerging trends, technologies, customers, industries, WITS continues to ensure their expertise in the market. “WITS is an early adopter. Our technology continuum does not sunset technology or processes we add to our knowledge base with data for mainframe to mobile,” concludes Blackmore.